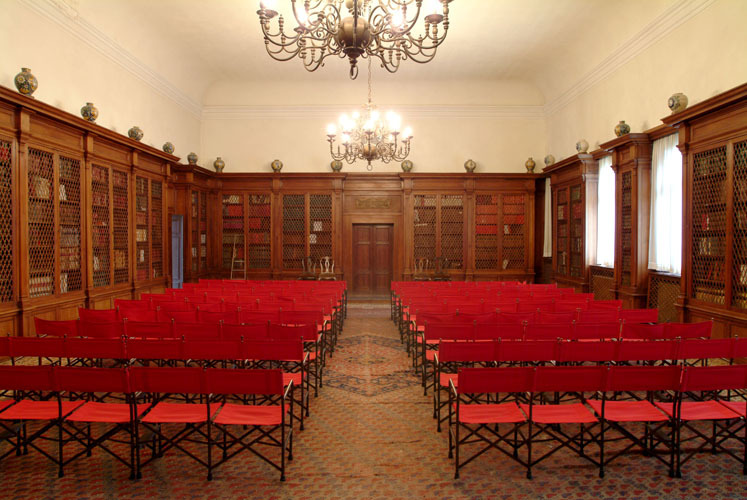 The Sala Barbantini is dedicated to Nino Barbantini, an eminent art historian and first president of the Foundation in 1951. Situated on the first floor, next to Longhena’s Library, the room houses a major collection of sources and publications of key importance for art history research and studies. The Library is enhanced by a collection of 17th-century majolicas, a legacy from Vittorio Cini. The room can hold around 100 people and is ideal for smaller sized conferences or work sessions during large events.